We’re partnering up with Richardson Corporate Challenge! We’re so excited to partner up again this year with Richardson Corporate Challenge to earn $ for Special Olympics. 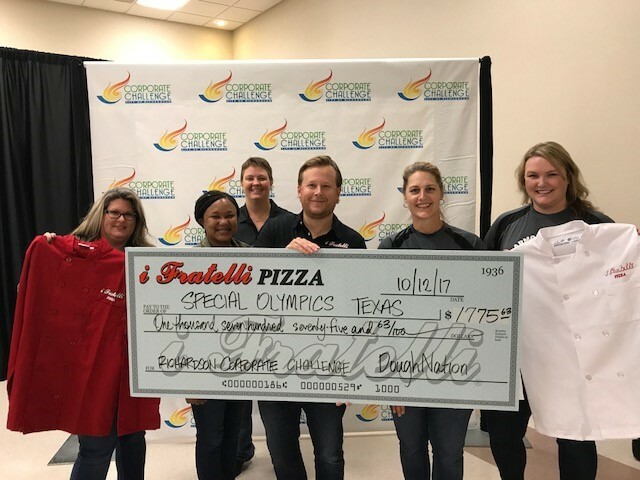 Independent Franchise Owner Neil Turner presents a check for $1775.63 to Special Olympics in 2017 as part of the Richardson Corporate Challenge. It’s our goal to donate over $2500.00 in 2018. Join us! Join us with your DoughNation purchase on Monday July 16. Mention Richardson Corporate Challenge and 15% will go towards their charitable fundraising goals. Applies at all i Fratelli locations, for take out and delivery, lunch or dinner. Sometimes you get more than you bargained for with your free delivery! We are so proud to welcome Bruce and Callie Redden to the i Fratelli family! 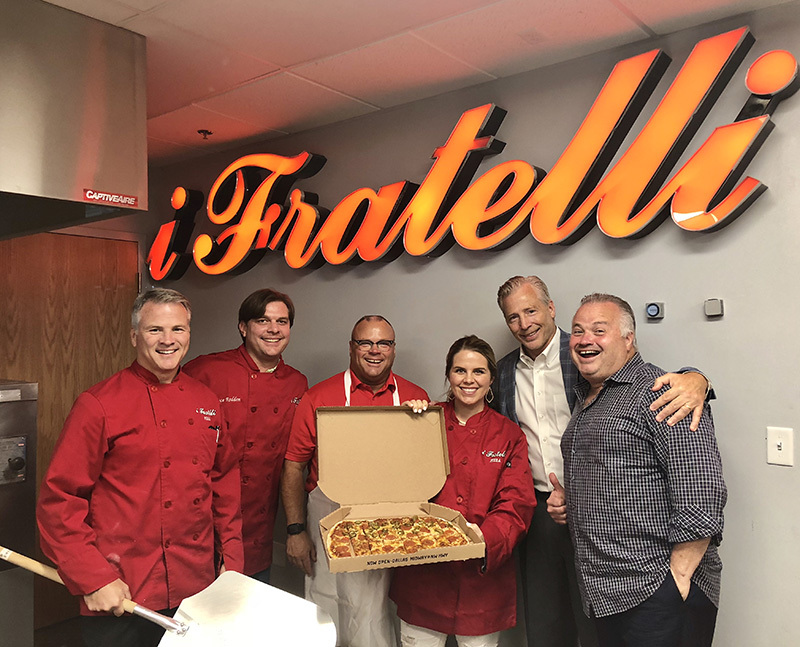 The Reddens have signed a 2-store development deal to bring i Fratelli Pizza to Houston. Thank you for making 31 years possible! 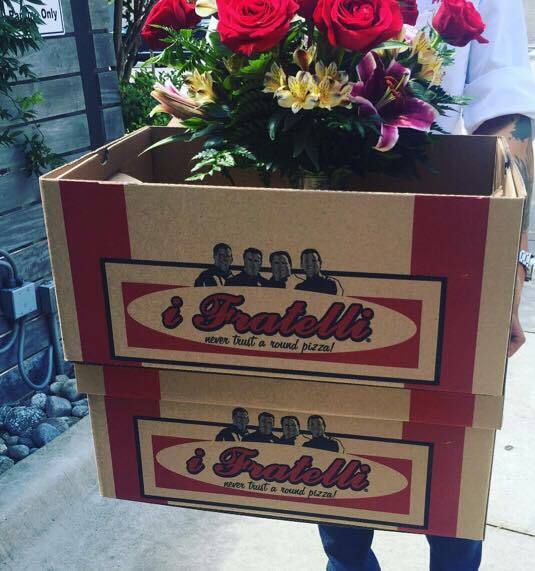 i Fratelli was established July 3, 1987 in Irving, TX. 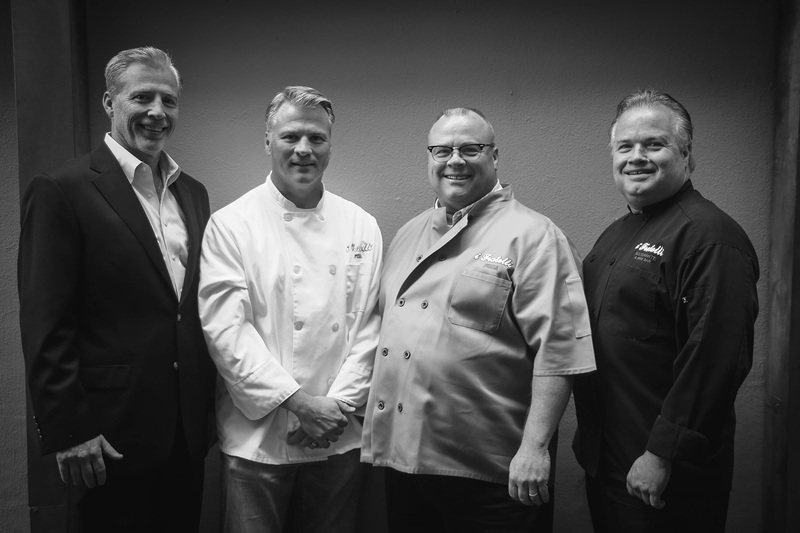 We now have 13 DFW locations and two Austin locations, with Frisco and Fort Worth coming soon.